Case in point: in 2008, King produced the Platinum-selling Kings of Leon album, Only by the Night, which is still in the Top 40 in 2009. King has his old-school recording chops, but was an early adopter of new technologies; many of his first major recording gigs came about because he was so fast in Pro Tools. 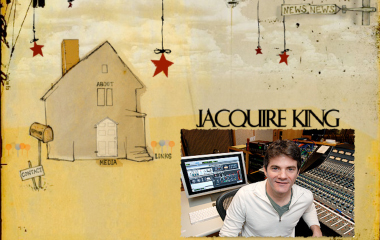 But he has always relied on a mix of analog and digital technology to get his desired sound. I spoke to King just after he completed The Fall, the much-anticipated sophomore effort from crooner Norah Jones. Where did you grow up? How did you become an engineer? I was born in Washington, D.C., and I grew up in northern Virginia, kind of grew up out in the country. I started recording on cassettes when I was about four years old. My mom had a really fantastic record collection when I was growing up. Things like David Bowie, and the Beatles, Paul McCartney, Chuck Barry, Dylan, all kinds of really great records. So at a very young age I learned about the magic of listening to music. I had this cassette recorder that I knew you could record things on, so I recorded things off the hi-fi so I could listen to them in my bedroom. I just figured out where to put the cassette recorder in the room to be able to record the hi-fi well. I had my own little pretend-DJ radio show when I was young. I used to record over children&apos;s stories and books on tape, just any cassette that I could find. My recorder was wearing out and began to not erase very well, so I&apos;d get these very layered-sounding recordings, which took me a long time to figure out what was really going on, but it was pretty cool. First I thought there was like a ghost in my tape recorder [laughs]. I really wanted to play drums, but my parents didn&apos;t give me a drum kit because they were afraid I was going to be too loud and obnoxious. So they gave me a guitar about the age of eight. I played, but I was just never very disciplined about it. Then I played bass in high school, and was in some bands, but I was always more preoccupied with our recording and P.A. equipment than actually being a very good participant. So then I just started recording friends&apos; bands not long after high school. I do play a bit, but the studio has always been the instrument I&apos;ve been the most attracted to, so that&apos;s where I&apos;ve put my musical desires and worked on that aspect of my musicality. I went to the Recording Workshop a really, really long time ago, which is a school up in Ohio, and kind of got my feet wet that way. I got a job in a studio in Maryland. I worked there for about a year, and I got to do a lot of really, really cool stuff because the music scene in Washington, D.C., in the late &apos;80s was pretty diverse. Thrash music, punk, new wave, and go-go music. There were all kinds of interesting things going on. Because I was the new guy at the studio, all the late-night sessions that got booked, that were cheap, they&apos;d put me on. So I got to do a lot of really good stuff, even live jazz direct to 2-track. I was in way over my head, but I seemed to manage, and it was fun. Then I got myself out to San Francisco. I wanted to go somewhere where there was a better musical community. Even though the D.C. scene was great, I wanted to go where there was a better recording community, there was more industry. I had family up in New York, but New York just seemed a little bit too overwhelming to me. And even though I now live in Nashville, I thought at the time there&apos;s no way I&apos;d ever want to be here, it was mostly for country music. Which I think at the time was very true and accurate. It&apos;s changed a lot. The Nashville scene has changed dramatically. What year did you come to San Francisco? 1988. I went to LA to look for jobs, and my studio manager insisted that I go to San Francisco and check it out as well, because he had worked there for a little while and had a friend out there. I just hated LA the first time I went there. I ended up blowing off all my energy and ended up hanging out on the beach for two weeks—I just felt there was no way I could deal with the scene there at the time. And then I got a job at Different Fur, when I went to San Francisco, and I moved there in the summer of 1988. Which was an amazing time in the Bay Area, for music. There were all those bands like Psychofunkapus and Les Claypool&apos;s scene. … and Faith No More. 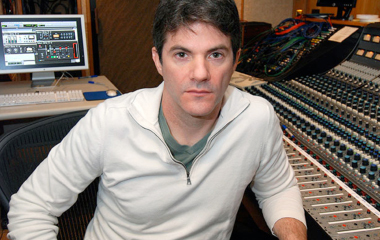 I remember Mark Cenazak was one of the first serious producer-engineers that I ran across when I was out there. He was making records with all these thrash-metal bands—yeah, lots of really crazy stuff going on. And 4 Non Blondes… I remember Jason Carmer did the demos for 4 Non Blondes that got them signed. I remember when Adam Duritz was taking his Counting Crows demo around, and David Bryson&apos;s studio was in the East Bay. There was the Plant, and Fantasy—it really felt amazing. There were also a lot of really great clubs. I spent a lot of time doing live sound as well at the various clubs. Slim&apos;s, the I-Beam was around, and the Kennel Club, and all those kind of clubs. "The 2-610 I used pretty extensively once we got back to her [Norah Jones] place for bass and Wurlitzer. I did some background vocals with it. I love the way the EQ works, especially the top end. It&apos;s got a really nice shape to it, and you can kind of crank on it, and it doesn&apos;t sound harsh." I heard that Norah Jones hired you because you engineered Tom Waits’ Mule Variations, which is such an amazing album. That was done up in Cotati, at Prairie Sun? Yes, that was Prairie Sun, absolutely. I had helped open this studio called Toast, which was in San Francisco, and one of the owners got a call, and as it turned out, Tom Waits was looking for a new engineer. Tom is someone who has not had a lot of overturn. He had musicians, and engineers, but he goes through these phases, and at that time, there hadn&apos;t been a lot of engineers that he had worked with. I&apos;m a huge, huge fan of his, so when my friend got that call, looking for engineers in the Bay Area, he recommended me, and I got it. It was a wonderful opportunity, to meet Tom, and to make that record. What&apos;s it like to work with Tom? Really creative, I imagine. Yes, he is very creative, and Kathleen his wife is very present there, as well. I learned a lot about performance, capturing a real moment, being part of something magical, and not really over-thinking it. He likes to push the boundaries of beauty, and grit, and aggressiveness, and likes to have things be really twisted. It&apos;s like a pairing of light and dark kinds of things. On that record, and many of his records, there&apos;s a real high-fidelity aesthetic to it, and then there&apos;s a really super lo-fi aesthetic to it. The way those things get mixed up and juxtaposed, all that stuff was a really huge education. That record was mostly done analog, but one of the reasons that I was there is because of my Pro Tools skills. Tom wanted to experiment, like taking some of his work tapes, or just sound effects, and making loops, and doing treatments, but then he also wanted to explore the opportunities that you can do post production, with arrangement, and editing. Tom’s experience is in very traditional recording, that&apos;s his comfort zone. It&apos;s really the best place to come from, but he wanted to figure out what it would be like to have access to that tool. Because I have really traditional recording skills, and I was also pretty advanced at Pro Tools at the time, sort of ahead of the curve, I got that opportunity. He likes to work very fast. Most of the vocals on his records are part of what is recorded with the basic take. Sometimes there are a lot of musicians. You&apos;re moving quickly, and you&apos;re really trying to capture performances in a very creative and artful way. So the experience really taught me a lot about that. He would have us mix things very quickly sometimes, and multiple times. I don’t&apos; think that there&apos;s a song on Mule Variations that was mixed less than six times. And there&apos;s no automation involved. It was all done by hand. So Pro Tools was kind of used as an effect, and not as a tape machine. Everything was recorded to tape. Everything was recorded to 24-track 2" analog. There were a couple songs where—like there&apos;s a song called "Filipino Box Spring Hog" where there was a lot of stuff thrown at it. There were some basic takes, a master was chosen, and then there&apos;s a lot of stuff thrown in… it was a little chaotic. That particular tune was something that I transferred the whole multitrack into Pro Tools and did some extensive editing of overdubbed parts, and some of the basic arrangement. I printed the edited version back to tape, and mixed it off tape. Pro Tools was also used for creating loops, that kind of thing. There was another song, called "Low Side of the Road," where we took his demo recording, which he&apos;d done on a ¼" 8-track, and I transferred it into Pro Tools, and I made some additions with an Optigon, which is the looped sound, the drum-machine sound that&apos;s on that song. I had to time-align that drum loop to Tom&apos;s performance all by hand, because he was just playing by himself, and there was certainly no time reference. There are bars of six, and it&apos;s kind of all over the place. So that kind of thing is what Pro Tools got used for. At the time I was not—as much as I now love plug-ins, and I love the Universal Audio&apos;s plug-ins with this UAD hardware—at the time I was really snobby, and I did not like plug-ins. I was really just a super purist with Pro Tools. I only really wanted to use it as an editing platform. To me, it really hasn&apos;t been &apos;til like the last five years, or less, these platforms have been as usable as they are now. Were you surprised when you got the call about the Norah Jones album? You&apos;re probably getting a lot of calls, because Kings of Leon is so hot. I appreciate that. I think that some more recent success like the Kings of Leon certainly helped the argument in the big picture, that I might be a good choice to make her record. I don&apos;t know how much a Kings of Leon record really factored in for Norah. She was speaking to Husky Hoskulds and Mario Caldato, as she was considering who to make her record. And one of them asked her, "What&apos;s your favorite record?" She said the Tom Waits Mule Variations, and it sort of dawned on her, well maybe I should just look and see who made that record. And that&apos;s why she called me. I was surprised to get the call. I was elated, because I considered her, even before working with her, to be super talented and really genuine, and someone that&apos;s rare. I love her music, but regardless of what someone&apos;s music is, I&apos;m excited to work with him or her if they&apos;re really talented, because it&apos;s a creative situation. You&apos;re not challenged by the deficiencies of trying to get things to happen that you have to manufacture. So it raises the bar, and it&apos;s exciting when you get to be in a situation where magical things can happen quickly. I was excited to get that call. It was unexpected. I didn&apos;t think that I would ever get a call from her. I&apos;ve been very fortunate, and I know that I have some talents and skills, and I love what I do, but I also feel like I&apos;ve had a lot of good fortune. How did she express to you what she liked about that album? Did she say, "I want you to make my voice sound gritty, and record my vocals in the chicken coop"? [Laughs.] Well, she wanted to get into some heavier rhythmic stuff, and stuff that has more edge and kind of dirt. That record, and Tom&apos;s sound, there&apos;s a heavy, dark, angular, rhythmic element to it. It&apos;s very musical; he&apos;s a great songwriter. So all the sonics and the tricks, and the places that the music goes, really gravitates around someone that has great songs and a great musical talent and voice. I think that she&apos;s sympathetic to those kinds of things. She expressed to me that she wanted something that was edgy. She&apos;s playing more guitar and wants things that are more heavily rhythm oriented. I think Mule feels that way to her in a way that she is sympathetic to and can relate to. Where did you track her? She has a very nice studio in her home. But it presents challenges in terms of all the new musicians—we didn&apos;t record with anybody that she&apos;s recorded with in the past. She had a wish list, and I had a wish list of the people that we thought would be good, based on our conversation. Without really counting them, maybe 25 to 30 musicians. And there was a lot of changeover. You go into the studio, the first days are fun, because there&apos;s a lot of anxiety and excitement, but you also look forward to when things settle in, and you kind of get into your groove. We weren&apos;t really going to be able to have a whole lot of that because we used five different rhythm sections, there&apos;s a lot of changing. So working at her house felt better for pre-production, and overdubbing, like if we were having one or two musicians over at a time, or she was singing or playing something as an overdub. We went to the Magic Shop in Soho for two weeks, and recorded three different rhythm sections with four different configurations. Guitar players would come and go, keyboard players would come and go, and sometimes that would overlap rhythm sections. So we were at Magic Shop for two weeks, which has a really cool-sounding live room, a great new desk, it&apos;s just a good vibe. Norah had worked there before, so she felt comfortable. It was my kind of gear there. Then we went back to her place for a week, to follow up on those two weeks, and get ready for our trip to Los Angeles—we went to Sunset Sound. We were in Studio 2 for a week. Then it was about a week and a half back at Norah&apos;s. So all told, I think we put in about six weeks of recording. Did you use any UA hardware in tracking? Yeah. I used the 2-610. The 2192 I used—I didn&apos;t have the 2192 until right after the Magic Shop, so I had been just using the converters that were with the Pro Tools system. I started using the 2192 for the rough mixes. I love that box, just because of its sound quality, and how it&apos;s really pristine, and the imaging is really, really good on it. So making the rough and ready mixes, it was nice to have that. The 2-610 I used pretty extensively once we got back to her place for bass and Wurlitzer. I did some background vocals with it. I love the way the EQ works, especially the top end. It&apos;s got a really nice shape to it, and you can kind of crank on it, and it doesn&apos;t sound harsh. It&apos;s just very pleasing, especially with ribbon mics, like a Coles or a Royer, that have that rolled off and very smooth top end you can crank it back up with a 610… very nice. The pre has a really nice amount of headroom; you can really push things into it. And the tubes kind of saturate in a very pleasing way. I&apos;ve also used the 2-610, not on this record but in the past, for like a drum buss side chain. And driving it a little bit, just to where the tubes and the circuits start to get just a little bit choked, gives a nice harmonic quality to the sound. That&apos;s my favorite thing about that box. Then you took the tracks to Nashville to mix? Yeah. I&apos;ve been mixing at my own place over the last four years. I move around a lot, when I record, various locations, use all different sorts of studios. I&apos;ve tried to mix in other environments, and I just keep gravitating back to my own setup. I like the way my 1176 sounds. I&apos;ve had it for 15 years, and I just love the way it sounds. I love the way all my stuff is situated. Are you mixing in the box? I do sort of a hybrid approach. I use external summing. I have a few different ways that I do that. I change it up sometimes. I have the Dangerous box, which is a great piece of gear. I have the Fulcrum, which is a passive summing device, and then I have a custom Quad-8 console. It’s a Coronado, which is a 40-channel desk, like a late &apos;70s design, early &apos;80s. I had it made into two sidecars. So those three things I sort of switch off between them, use them in combination. I&apos;ve never heard of that board. A Coronado? It&apos;s from Quad-8. They were built in North Hollywood. They&apos;re really excellent. Some of the design engineers from API were part of this company, and Dean Jensen. It has Jensen transformers in it. It&apos;s a pretty extraordinary console, just because the headroom that it has, and the sound. Sonically, to me, it sounds like a combination between an API and a classic Neve. I use external summing, typically 16 outputs. I use a lot of analog hardware inserts, because I have four channels of Sontec EQ, and I have a pair of Neves, 2254s, an LA-3A, three or four classic Neve pre-EQs and Distressors, dbx 160s, Chandler PG-1. I have an AKG spring reverb, and I have chorus echoes, an Eventide—I have a lot of really great analog hardware. I don&apos;t really use the hardware effects as much as I used to, only if there&apos;s something really specific that a box does. Most of the effects that I do are plug-in based now. What&apos;s really exciting about the UA stuff is, for instance, I hadn&apos;t used the UA plug-ins when I was making the [Kings of Leon] Only by the Night record, but I was using a Cooper Time Cube. When I&apos;m in those situations, I get something set up on the console, and then when I do my transfer from the 2", I also transfer the effects that I&apos;ve set up. Like if I put a Cooper Time Cube on a guitar track, I&apos;ll transfer that in. For the last couple of records, these plug-ins are so good that now I don&apos;t have to have those things either rented, or set up, and printed in. I&apos;m using the plug-in. And the EMT 250 is amazing. That&apos;s one of my favorite digital reverbs. It’s all over Norah&apos;s record, on all of the songs, I used the EMT 250 reverb plug. What is it you like about that sound? What does it bring to the mix for you? It has just incredible width and space and depth. It just sounds very natural. It balances in very well. You can set that thing, with a very long tail, a lot of reverb, a lot of pre-delay, something that you would think would be super, super wet and that would mess you up, and take up too much space, the wrong kind of space, and it just puts this beautiful halo of space and sound around the voice, her voice. It was really helpful to have something of that quality. That&apos;s why I&apos;ve always like the hardware unit, and this did the exact same thing. The Dimension D is another one. Pretty much all the plug-ins, the Space Echo, the CE-1 chorus, all those things are devices that I&apos;ve used the hardware quite extensively in the past, and I&apos;m just using the plug-ins now, because they sound so good. Have you tried the FATSO? 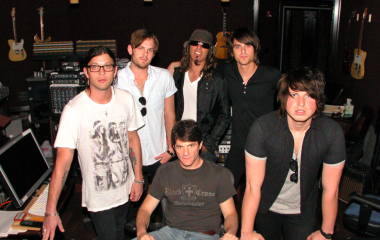 Just recently, Vance Powell and I mixed the Kings of Leon DVD that&apos;s coming out. Because we were mixing a live concert, basically it&apos;s like an hour-and-a-half song, we were using the FATSO a lot, and we were using 1176&apos;s.
We had to do a lot of automation changes with the plug-ins, and doing that in the computer, as opposed to these crazy recalls, having to stop, readjust and punch in—it was just excellent. And the FATSO Sr.? That’s the companion plug-in? Yeah, that is super, super cool. How about the Helios? That&apos;s modeled on Jason Carmer&apos;s board. Yeah, I know. I own two type 69 modules myself, from a console that was at Island Records. They&apos;re just like Jason&apos;s board. We&apos;ve often wondered if my modules came out of his board before he got it. Maybe it&apos;s because my modules and his console are such close relatives, but I really think that that&apos;s an extraordinarily well done plug-in. The sound of a Helios is so unique, especially the high-frequency EQ, and the sound quality it has. It&apos;s really, really well done and very usable. Typically, digital EQ is not very good in the higher frequencies. It usually just sounds a little bit harsh, and the sound comes apart in an unpleasing way. I use a lot of analog EQs for doing high frequency boosting. For the most part I stick to digital EQs for mid cut, and low-end shaping. Then if I&apos;m doing high frequency boosting and that kind of stuff, I tend to use more analog EQs. But in the limited amount of time that I&apos;ve been using this UA stuff, I really find especially the Helios to be very good at the higher end. The Neve plugs are too, actually, in much the same way. Vintage gear gets a reputation, like Neve modules get a reputation, because when the stuff is working properly and well maintained, it can sound extraordinary. But there&apos;s a lot of vintage gear that&apos;s old stuff, just not very good because of its age, or how it&apos;s been maintained. You use a vintage desk, and all the modules are going to sound slightly different. You&apos;re not going to get something that&apos;s super reliable, super consistent. What&apos;s great about the UA plug-ins, if you want to use the Neve sound, and you want to have something that has that shape, and that feel, these plug-ins will give you that, and you&apos;re going to get something that&apos;s recallable and consistent. And that&apos;s worth it, right there. What do you get with a really great Neve EQ, and pre, if it&apos;s in super-great shape? You&apos;re going to be able to push it, you&apos;re going to be able to overload it, and get this distortion quality that can&apos;t be quite matched by a plug-in. But there&apos;s lots of other ways to achieve that sound, so the important part&apos;s there, that the shape and the quality of the EQ is there. "The Dimension D is another one. Pretty much all the [Roland/BOSS] plug-ins [for UAD], the Space Echo, the CE-1 chorus, all those things are devices that I&apos;ve used the hardware quite extensively in the past, and I&apos;m just using the plug-ins now, because they sound so good." Did you record Norah to Pro Tools? I always record to 2" first. I always do that. Mike Spitz at ATR had given me a reel of 2" to check out, and I used it on—I think I might have used it on Landon Pigg&apos;s record, and I really enjoyed it. So I used all ATR service tape for Norah&apos;s record. I always record to analog. I usually keep it to 16 tracks. I usually use a 16 track if I can get a 16-track head stack. Even if I have a 24-track head stack, I still just limit myself to 16 tracks when I&apos;m doing the basic tracks. I monitor through Pro Tools, the whole time. So the output of the tape machine goes directly into Pro Tools. So I&apos;m hearing the sound of the conversion, and what&apos;s going to happen when I actually put it into the computer. Once I capture the basic takes, have a master, I transfer in. Sometimes you have to assemble a master, a multitrack master, and I do that in Pro Tools. It&apos;s funny, the last time that I actually did a 2" edit was on the Kings of Leon record, on the first song that we recorded, which was “Use Somebody.” I did the edits to make the master on the 2". I could just tell everybody was going to get really bored with Jacquire spending that time editing 2", so I was like, "OK, we&apos;ll just do the rest of it in the computer." So now I just transfer the masters in and do the edits there. Are you happy with the way the record came out? Absolutely. I&apos;m really pleased that we were able to take so many songs—because some of the songs were written and felt like they were stylistically a little different, you just go with what the inspiration is for a song—and then bringing things together, you make them more common, on an album. And using so many players, I&apos;m just really glad that it all hangs together really well. But ultimately I think that is a testament to Norah. She&apos;s the constant, and it&apos;s all really about framework for her voice. But she&apos;s not a diva. No, she&apos;s not a diva at all. You have to have a healthy ego to be in touch with what your creative powers are, but she&apos;s not a diva at all. Ready to work hard, and just really about having things feel right. She sings so wonderfully, and it doesn&apos;t take a lot of effort. There&apos;s not a lot of takes. Either she&apos;s feeling it and it&apos;s happening, which is most of the time, or it&apos;s like let&apos;s do this later, for good reason. She&apos;s able to sing a song in two or three takes. It really is cool. I did have a few occasions, when we were working in her studio control room and we were listening together on headphones as she&apos;s singing—to be in the room with her is pretty inspiring, and gave me some chills, too. You really feel special stuff is happening, and it&apos;s really nice to be a part of it. Did you have a lot of brainstorming meetings with her before you actually started recording? Yes we did. I went to New York a couple of times to meet with her. On the second trip, I organized a whole day in the studio to experiment with some of the stuff, and to bring some musicians in. I brought Pete McNeil and Dave Wilder out from Los Angeles, I brought them to New York, and we spent a day working. In the end, there&apos;s only one thing, a tune called “That&apos;s What I Said” that we started on that day. It&apos;s not on the record, it&apos;s a bonus track because I think that in our experimenting we went for something that was a little bit outside of where the record found its place. How did you make Norah dark? What should we expect on this album? I understood her desire to be more rhythmic, and that she was playing more guitar. Also on that trip up there, she played me a song called “Young Blood” that she had been working on, but she hadn&apos;t actually demoed yet. I asked her to play it for me, and she got a guitar out and just sat and played and sang it for me, which was really good, because I was able to feel how a more rhythmic, driving, grittier sound could be made to support her voice. My thought was, she wants to do something that&apos;s very edgy, pointed, and has more poke and punch to it, and her voice is so big and warm, but there&apos;s sort of a soft quality to it, too. I was thinking therein lies a challenge: how was I going to be able to create this dark, rhythmic force and mood around a voice that kind of already is that? How can you support it in that way without getting in its way? Instrument choice really helped that out. All the Wurlitzers that are on the record—none of them are clean. There&apos;s nothing that&apos;s really clean, no pristine recordings. Even pianos, I was putting pianos through delay pedals, or miking them distantly, just trying to create more of an atmosphere in the sound. Yeah, the texture. Norah explained to me that the recordings that everybody knows, “Don&apos;t Know Why” and “Come Away With Me”, those songs were a day, or a couple days in the studio, before she&apos;d been signed, that she went in making demos, so they&apos;re live recordings. They recorded six or eight tunes over a couple days. So she&apos;s very used to recording with an ensemble of musicians, getting it to happen all at once. Doing that, but really spending a lot of time getting treated keyboard sounds. Like John Kirby, some of the parts like on “Light as a Feather” where John took a Casio SK-1—which is basically like a little toy keyboard from the &apos;80s, that has a little sampling function—and John sampled a pump organ that was in the studio, ran the SK-1 through a Memory Man, and then we ran it through a Leslie speaker cabinet. And that was the organ sound that&apos;s on “Light as a Feather.” Just really taking the time to look at a tune, and create a sonic backdrop and a texture that really formed the mood of it. John also does this thing which—there&apos;s a song at the very end of the record called “Man of the Hour,” and the sound of that piano, it sounds a little bit odd, and what it is is there&apos;s duct tape that&apos;s put over the strings, where the felts hit. So it&apos;s the opposite of attack piano. It&apos;s sort of a muted sound. That&apos;s a sound that&apos;s also on “Chasing Pirates.”John came up with that, and gave that to the record. So we&apos;d just do things like that, things that felt inspiring. Like in “Chasing Pirates,” on the chorus there&apos;s kind of a clapping sound that&apos;s actually a metal washtub that Marco went to the hardware store and bought, and he was banging some chains against. So it&apos;s not like a super-effected clap, it&apos;s a washtub with chains. Just doing stuff like that, just trying to be creative and have fun, and create something inspiring. That&apos;s what we were doing. Yes, definitely, it really was. Are you credited as producer? It&apos;s so exciting the way you&apos;re partnering with people to really make these plug-ins legitimate. It&apos;s really exciting. It&apos;s already impacted the way I work—my work habit is always evolving. I think since getting these plug-ins in the last couple years, is the most significant shift in my work, in terms of the way I&apos;m doing things, and able to approach things, because of what these plug-ins are affording me.